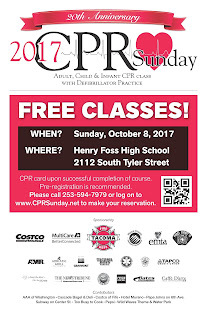 CPR Sunday is an annual community event offered free-of-charge to anyone interested in learning the basic life-saving skills of cardiopulmonary resuscitation (CPR). On the second Sunday in October each year, participants are taught the fundamentals of CPR and then given the opportunity to practice with CPR manikins and Automated External Defibrillators (AED). 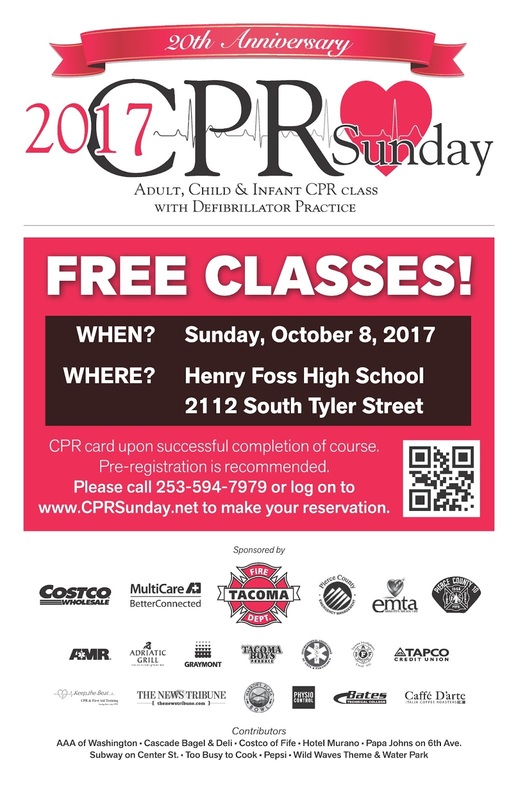 CPR Sunday will be held Oct. 8, at Foss High School, 2112 S. Tyler St. in Tacoma. In order to secure your preferred class time please register.